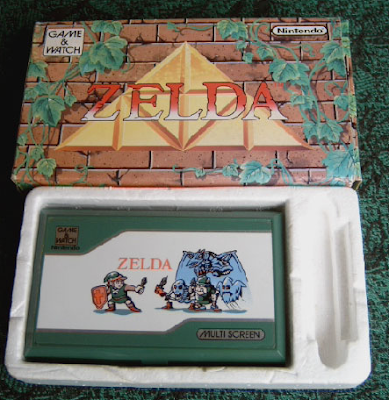 Boxed versions of Nintnendo Game & Watch handhelds are generally rarer and more expensive than their unboxed counterparts, and this also happens to be the case with this lovely Zelda Game & Watch that has appeared on eBay. 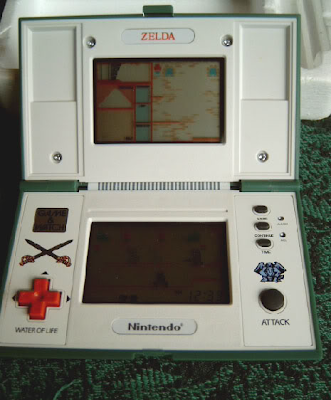 What's more, this dual screen little gem comes in an excellent condition box, complete with batteries, manual and the rest of the packaging bits. Also it's tested and working. Seller ships worldwide. Yeah, I keep wishing Nintendo would do another Game & Watch collection for DS with this game and a few other of the better games on it. And I'll be wishing next to you too. Same thing here dear Old Man.